All right, I managed to see the latest installment in the Terminator series! The trailer was one of the best ones that came out this year and it’s why I had rather high hopes for it. This certainly seemed like it would be an improvement over most of the films that came out. The fact that they made it more of a summer blockbuster aimed at just about everyone was an instant advantage as I wouldn’t have to wait a few months for the TV airing. It’s certainly fun and was nearly the best film in the series, but the writing holds it back. Still, this is definitely a good film to check out! The plot is essentially a re imagining of the first two films with some time elements that change the future. The Terminator arrived early and helped Sarah live through the events of the first two films while also getting Kyle up to speed. The mission is to destroy Skynet in the future before the true future occurs. Kyle agrees that this is a good call although he disagrees on when they should destroy Skynet. Once the heroes get that sorted out, they embark on their most dangerous battle yet! As you may have heard, reviews have not been kind to this film. It’s also not doing very well in the box office and that isn’t even too surprising when we go back to the trailer. It’s the kind of trailer that almost looks too good and the general audience definitely wouldn’t like it. Go back to Man of Steel, The Amazing Spider Man 2, and other films like that. Even I Frankenstein and Spider Man 3 would count to an extent. If there is a lot of CGI, action, and essentially comic book/video game styled plots running around, then it is typically doomed to bad reviews. For films like these where the action is at this level and the trailer looks exciting, you can bet that it will be doomed. Not necessarily at the box office as they still do tend to do well, but the reviews will be harsh. So, for a big anime/video game/comic/action fan, they’re typically a good sign that the film will be quite good. Terminator didn’t disappoint. Before I really get into talking about the film, I’ll quickly take a look at the big negative that I had with it. The writing was terrible, specifically the script. There’s a lot of excessive language to be found here. You’ll hear the s word for what feels like dozens of times and even the more extreme word appears once. These moments really hurt the film and I had to take a whole star off of it as a result, which took it from being the best film in the series to number 3, as it falls behind the legendary T2 and the less critically renown T3. It still clobbers the original Terminator film as well as Salvation, but it’s a missed opportunity. Even if the film is going for a realism effect, you wouldn’t expect the average joe to be swearing this often. It’s like the characters have the word on standby so that they can say it whenever they are surprised, scared, or excited. The romance is also handled rather poorly, but long time fans of this site will not be surprised at this. There’s really no reason for the 2 main characters to like each other except that this is a theater film and it is expected. It’s worse when you consider the fact that Sarah knows that she is supposed to like Kyle. There’s just no way that this would work after that and she shouldn’t even like him since Kyle isn’t the nicest guy on the block. He nearly jeopardizes the world and he’s very slow on the uptake. As per usual, there is also some fanservice here because the characters have to go into the teleporter while naked because clothing throws the system out of place. I still find it amusing that the new ball effect from the third film is completely ignored nowadays. It was a decent effect, but the original is still the best as it’s short and to the point. I’m not sure how one character’s truck manages to endure the lightning blasts when one bolt causes a car to be ripped in half later on, but…that’s just how it goes. In this film, the writers clearly tried to go for that as she still has a gun and fights Terminators several times, but she’s not as battle hardened or skilled in combat. She does still spring traps and beats the average hero (Kyle….) but the romance plot at the end hurts her case a lot. Especially considering that it was a whole plot where she was trying to defy her fate. Going along with it at the end just didn’t seem like a smart option at all. Giving her an extra action scene or two would have certainly helped her case along with less panicking when danger arrived. I think that her character would have been a lot more likable if Kyle was not around as the dynamic between her and the Terminator was good. They had some good teamwork against the first villain so seeing more of that throughout the film would have been enjoyable and the banter between them could have made the film even more fun. John Connor makes for a decent character. His transition happens fairly early on in the film so you won’t have to worry about him being the generic war general for too long. I didn’t care for him in that form all that much, but he wasn’t too bad. He was just way too vague and should have told his army troopers a little more if he really wanted them to prevent the time travel from happening. After that, he certainly gets a lot more power and we needed one of those insane characters who thinks that he is a hero right? He’s certainly not the John Connor that you’ll remember from the other films, but he actually does beat the other 3 portrayals of John rather easily. This one meant business and he was also more charismatic. 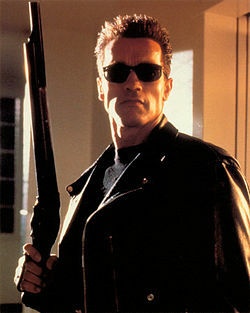 Naturally, the original Terminator is the character who steals the show. He gets in some quality burns on the main cast and most of his dialogue scenes are the best parts of the film. 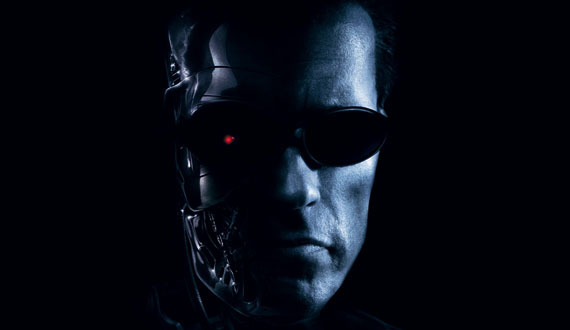 Unlike the third film where he admits that he is an obsolete model, he constantly denies it here as he faces off against the new and improved Terminators. He is older and his parts are starting to break, but he has a lot of determination and puts up a good fight in every scene. He’s very likable and acts a little more like his appearance in T3 than T2 as he still has a big sense of humor and is constantly showing signs of emotion. It’s a good sense of character development for him. In the audience, people laughed when he showed off his grin for the first time. It’s why I wish they wouldn’t spoil humor scenes in the trailer sometimes as it would probably have a bigger impact if you weren’t expecting it. Humor aside, The Terminator also knows how to get the job done. He still makes sure not to destroy any civilians even while in self defense. He’s very intelligent and a great fighter. While the newer models have special abilities like shape changing and regeneration, The original Terminator still has the edge in physical power over most of them. He overwhelms the opponents through physical strength and that’s always a good tactic although having regeneration would probably be a little more fun for him so that he wouldn’t have to get pounded so often. Finally, we have a fun character who’s named Detective O’Brien. He does a good job of instantly outshining most of the cast as he takes the situation in stride (Unlike Kyle) and helps the heroes out of a jam. For decades, people called him crazy, but the detective never lost hope in his assumption that the heroes were time travelers. You just gotta love the guy and I’m glad that he got to help out without getting killed off right away. The soundtrack is certainly good as well with the classic theme showing up. The scene where the original Terminator first shows up to take care of his past self was definitely intense. While I agree that he is no match against his younger self, I would have liked a more even battle. (When the fight first started, I had the opposite opinion, but when we saw just how old and broken the current version was, the opening fight scene felt more accurate to me) The music definitely has more emotion than you would expect from the average film. The film’s tone and atmosphere really help it to be a blast. I’d say that it’s very similar to The Amazing Spider Man 2, which is certainly one of the most underrated films to have come out in recent years. 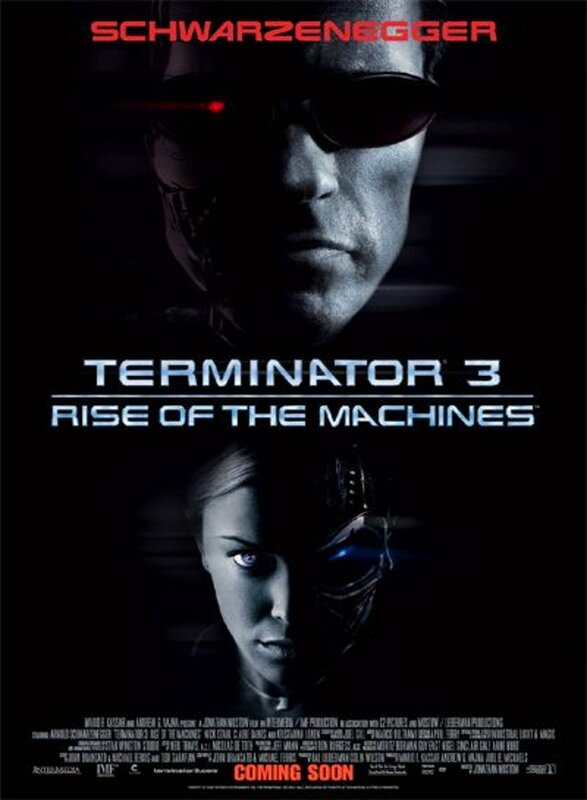 Unlike the past Terminators to an extent (Because 3 was a little similar to this one) this film is a lot more upbeat and cheerful than the older ones. There’s essentially nonstop action and the characters are constantly moving. There are several scenes that were so good they felt like they could have been a climax in another title and the film never takes itself too seriously. While this hurts it critically, it greatly increases the replay value and enjoyment during the film. There are no really violent scenes unlike the first three films, which is certainly a positive. This way you can really focus on the action. As great as the tone was, it wouldn’t have been enough without some good action scenes. The fights here are the best ones that we’ve seen aside from the big brawl in T3 where the Terminator fought the TX. (Too bad she couldn’t appear here, but it’s too soon in the timeline) Each of the big fights, Terminator vs Terminator, Terminator vs T1000, Terminator vs Final version Terminator, were all really great. They easily beat most of the fights that you will be seeing in theaters and I’d say that the fight scenes here were the best of the year. Beating out the Age of Ultron climax as well as the final showdown in Jurassic World. I don’t see Ant Man or Star Wars topping these, but it’s always possible. These are likely some of the best fights that we’ve seen since Man of Steel, but it’s a tough fight as the Winter Soldier in 2014 had some good ones as well. Some scenes you will already be familiar with like the one where the Terminator jumps off of a helicopter, but it doesn’t take away from how good the scenes are. Genisys really did a good job of showing off the effects and the design for the final boss in particular is really good. It almost goes without saying, but the film’s pacing also benefits a lot because of this. With all of the nonstop action, the film gets to cram in a whole lot without dragging out. The film’s only 2 hours, but it has at least 3 hours worth of content into it and you’ll never be looking at your watch. Something is always happening, whether it be a funny scene or an intense one. As for the time travel elements, this naturally leads into intriguing territory where you can try to fit in the pieces yourself. Nothing relating to time travel would be a negative for me as I get to make my own theories on what happened. Even if there are things which would be counted as plot holes, it wouldn’t hurt the film as it’ll just make you grin and try to connect the dots. Also, it’s not like a plot hole would matter all that much since all someone needs to do is send another Terminator in from the future and everything will change. As long as time travel exists here, the cycle will never end and Skynet will never be truly defeated, as much as the characters would like for this to not be true. My main issue with the time travel is one of the final scenes as a kid is given a message. It happens way too late in the kid’s life so it shouldn’t have existed in the first place if you ask me. It’s a time loop, but it still should have happened years sooner so it could have made a difference. As it is, the future will never happen as a result of what happened. Now, what I did like about this film is that they explained that even if a character destroys his parents before he is born, he will still exist. This is a theory that I’ve always agreed with as the character is already alive so a shift in the past should not affect him in the future because his life is already written. In a sense, you are immune to the time shifts because you are now out of time. On that note, the film got it down perfectly. As for the rest of the time travel, it’s a little iffy on how the T-1000 arrived so quickly. If you ask me, he arrived too soon. In a way, you could just say that the first 4 films never happened to save yourself the hassle. As soon as the original Terminator was sent to the past, everything changed. Why did the heroes wait so long to stop Skynet? Surely, they could have destroyed key facilities and kept on delaying the project for decades at a time right? Maybe it was just flashier this way. Maybe the characters didn’t think that they had what it took to prevent such a disaster. Either way, I felt like the plan to stop Skynet wasn’t really thought out so well on their part. Of course, it was still awesome to see the first film live again through the opening. Since I just saw the first four films, it was really fun to look at the visual cues and try to fit this in the timeline. I really just prefer to consider it as an AU to the previous films as they no longer fit in the current timeline as their reality has shifted. They did happen, but they don’t matter to the main cast anymore. One cool part is that the sequel to this film probably won’t even need to worry about time travel as things may happen linearly now….right? While it is possible, I’m assuming that time travel will definitely come into play. 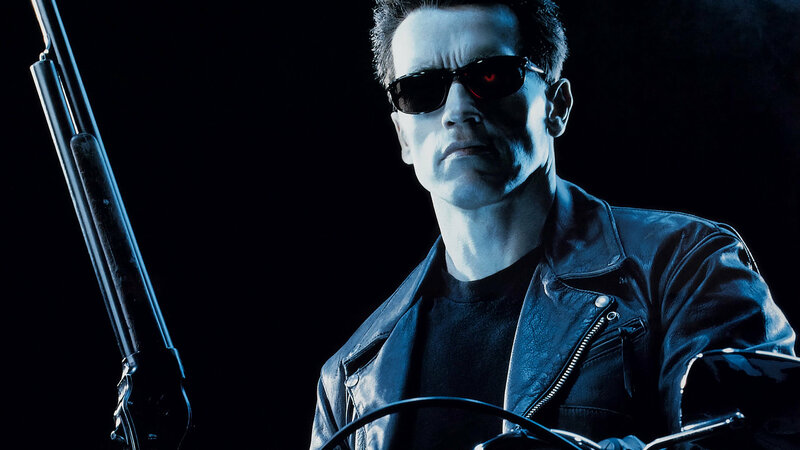 After all, a big plot point that has not been concluded yet is, who sent the original Terminator to the past to stop the first four films from ever happening? The answer hasn’t even been hinted at yet and I’m just really hoping that it is not John or Kyle, but a completely new character. The problem is that with time travel, it could literally be any character from any timeline so the writers can have a field day deciding who did it. Naturally, you’ll need to stick around through the credits to check out the final scene. It should have been a little longer so that something more could happen, but I can always appreciate a good cliffhanger. Marvel started the epic tradition and I feel like all companies should keep on going with it. It’s a nice way to build up some hype for the next film and just for yourself if the sequel gets cancelled since things aren’t looking very good for it right now. The next film has a lot of potential if it does come out now since the fights may be a little higher tier and we may get some more answers. I’m also wondering what Skynet’s next play will be. They ended up having the last laugh in T3 and T4 so I suppose that it’s about time that the humans got a quick victory since they haven’t had a glimpse of it since T2. Overall, Terminator Genysis is a really fun film. This definitely reminds me why I love the concept behind the franchise so much. While it is not a film for everyone, you will greatly enjoy it if you are looking for a really action packed film that never lets up and is always hitting you with a mixture of humor and intensity. The soundtrack is fun and the film never drags on. Another good thing about Genisys is that there aren’t any really bad scenes that will make you wince although the romance at the end comes close. Kyle makes for an underwhelming main character and Sarah is not quite as tough as she should be, but at least she contributes and you will greatly enjoy the detective. 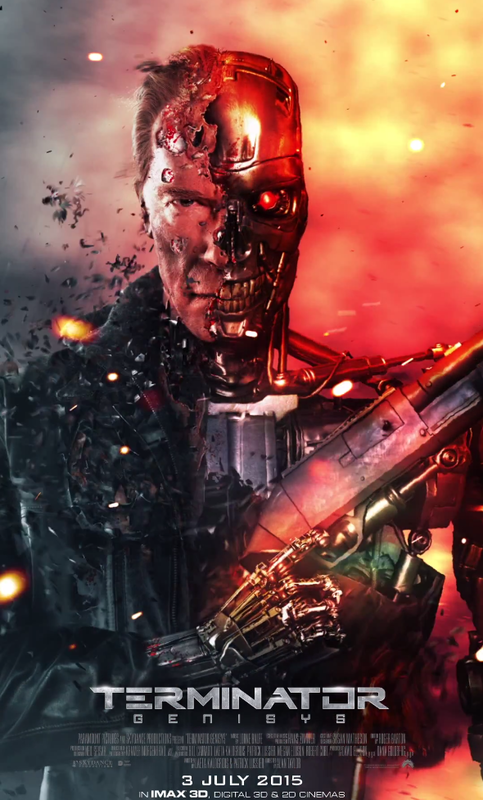 The Terminator steals the show as you would expect and the final boss is a legitimate threat. Skynet’s true form isn’t quite as fun as the one in T4, but I have a feeling that Skynet’s true form in the next film will be more threatening. You can tell that this is only the beginning for the heroes, but I have a feeling that the Terminator franchise will not be able to top this film going forward. Hopefully they can surprise me. As long as the writing quality does not deter you, this is definitely the film to check out. Once you see the action scenes, you won’t regret it! It’s been nearly three years since I first saw this film and it was cool to see that I am still giving it the same score that I gave it all those years ago. It just goes to show that while some films may vary as the years go by, Salvation has managed to hold its place for quite a while. It’s certainly not as thrilling as the first three films and is mainly an information film. Judgment Day occurred and John simply couldn’t stop it. He is now one of the pivotal figures in the war against the machines, but he is more of a figure head than a leader. He finds out that Skynet is preparing something big so the resistance decides to destroy it once and for all. As both sides get ready, he realizes that Kyle has been kidnapped. If Kyle is destroyed, John may cease to exist and everything will be wrecked. It’s time to get back onto the front lines to save the world and a new character is also running around. First of all, I still have to question parts of the time loop. Since it seems like time moves linearly in this universe, Kyle’s death shouldn’t really matter. Just like how Skynet can see that its past Terminators fail because they failed in real time, Kyle’s death wouldn’t stop the fact that he already went to the past. How I see it, John would not cease to exist through Sarah’s death because of Kyle’s death. Of course, this is time travel so there are many ways for this to play out. The main drawback for Salvation is the fact that the plot moves at a very slow pace. It’s simply not as action packed as the other three films and there is never a sense of danger. The heroes are just moving across a world that has essentially been terminated already. They aren’t trying to save the world, they are just trying to end the war once and for all. The film seems to mostly just be trying to emphasize just how tricky this new world is and you’re meant to ponder why humanity lost so easily. It’s not about explosions and epic action like the first three films and it’s just about taking in all of the information. If you walk into the film assuming that you are going to get an action blockbuster, it will definitely be a disappointment. If you walk in thinking that it will be a slice of futuristic life film, then this will be up your ally. There is really only one action scene and that occurs at the very end of the film as John fights against the T-800. That was a cool fight even if it was a little short and there was not as much actual fighting as you would expect. The film didn’t have the budget to pull off the incredible action scenes that the third film had and it’s safe to say that the T-800 should be able to crush Marcus with ease. The soundtrack is also rather bare bones next to the other films and there isn’t much of an antagonist. A few bullies appear at one point and Marcus gets to beat them up, proving that he is the ultimate main character. At least, that was the intention. He’s not bad, but he’s not very good either. I liked him more than John Conner, but Marcus never did a good job of explaining his intentions and just seemed to want to fight Skynet. There are some twists about this, but Marcus never really got to develop as a great main character. He was fairly generic and while he did beat John from T2 and T3 and Sarah Conner from film 1, he wasn’t great. I quickly have to pause and praise one of the things that Salvation did right. As in T3, where we find out that Skynet outsmarted the humans, she does the same thing in this film. Everything that happened was part of her plan and it makes the ending that much more satisfying. It’s safe to say that Skynet is constantly toying with the humans and they shall never be able to defeat her. Machines will always trump man and our arrogance is what created Godzilla according to a trailer for that Kaiju’s film. It was still awesome and the opening of the film felt like a scene out of Resident Evil as there as Terminators everywhere. It is certainly the beginning of the end for the resistance. Back to the characters, I didn’t care for John Conner all that much. I’m glad that he made the hero call to rescue everyone, but he just came off as a little mean at various points and he seemed to have even less of a recollection as to what happened in T2 and T3. I wanted more references to those films and I feel like he didn’t deliver in that aspect. One of his lines when he told Marcus to get him inside the base also came off very awkwardly and just didn’t work. That was supposed to be one of his big lines as well since it even came again during the climax of the film in a flashback. John simply couldn’t pull this off. Finally, we have the main heroine. Blair was a decent fighter and she always talked tough even when she was in a tough situation. She was a good character even if she did appear to be trying to start up a romance. Marcus was too tough for that and luckily the plot never went anywhere. She still made the hero call when she helped Marcus out of a jam and proved that she was more loyal than just about anyone else. Kyle is a decently important character I suppose, but he’s unlikable and the actor didn’t do a good job of looking like the guy from the first/5th films. His partner wasn’t great either and that subplot really wasn’t needed in the film at all. It was just there to buy some time. One of the big positives about this film is that they finally went ahead and toned down the violence a lot. I believe that they did the same for language and all other areas of the film as they finally bumped it down to a PG-13 from the start. That was a really great move on the film’s part and helps to make it a safer experience. If not for a few scenes, it could easily have gotten close to a PG as well, but some of the themes alone would prevent that. As it is, it’s one of the tamer PG-13’s. If we had some more action and good fight scenes, then it could have gone far, that just didn’t happen. As a Terminator film, this title is fairly bad as it has nothing to do with the franchise. Technically, we are seeing the resistance a little, but you can see why it can basically be discarded and nothing would change. The only thing of importance that we saw is how John got his scar. It reminds me of the Chimera Arc from Hunter X Hunter, which was essentially 7 years of filler or a good chunk of the war arc in Naruto, but at least it still felt like Naruto. This Terminator film didn’t really have any time travel and you can’t really have a film in this series without the T-800. As a normal film, it is still decently interesting. Who doesn’t like to see a future that has been taken over by robots? If you watch this as a stand alone film, then it may pique your interest a lot more. It just didn’t last too long as a Terminator film and I’m confident that the upcoming one will defeat it unless there is some animal violence to stop it. Salvation is a good film, but it can just be a little dull. 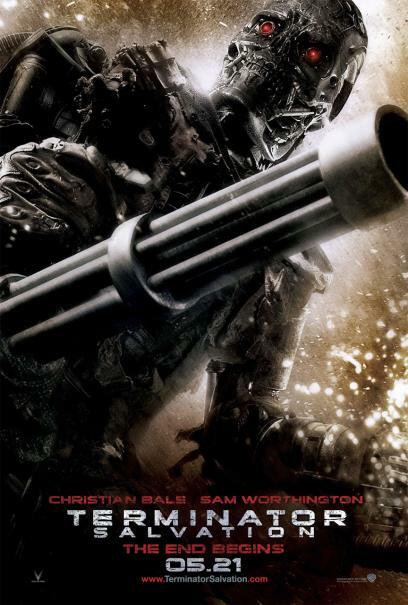 Overall, Terminator Salvation wasn’t very exciting. It has some of the worst camera that I have ever seen in a film as everything looked uninteresting and the pacing was very slow. Marcus was a decent lead though and the concept of robots taking over the world is still fairly fun. I’m glad that Skynet continues to have the last laugh and the humans can never stop her. 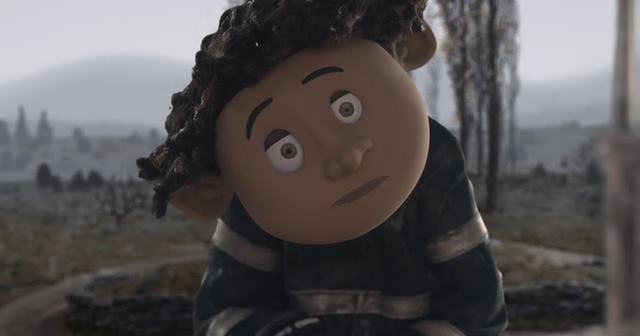 This film does drastically cut down on the violence and other unnecessary content which also helps it. Technically, it does still beat the first film for me although the first one was more exciting. If you want to watch a good sci-fi film, I recommend checking this one out. Just don’t expect a whole lot of action. It’s time to look at the sequel to the first Terminator. This was the big film and you could say that this is what really put the franchise on the map. As well received as the first film was, the second would show us what the series could do with a real budget. We could get some more action now and a new villain who may even be stronger than the Terminator! I enjoyed this one more than the first and it got rid of one of my main negatives with the first film. Sarah may have survived her last ordeal, but she is now being kept in an asylum as the police don’t really believe the fact that she destroyed a Terminator. They just think that it was a random guy with a cool pair of shades who managed to take everyone down. When The Terminator does appear again, Sarah prepared for the end, only to fnid out that he is on her side now along with her son, John Connor. Sarah doesn’t have much time to celebrate this as she decides to destroy Skynet before it is ever created. Can she get past the new Super Terminator from the future? First off, the film did a good job of being very action packed like the first one. 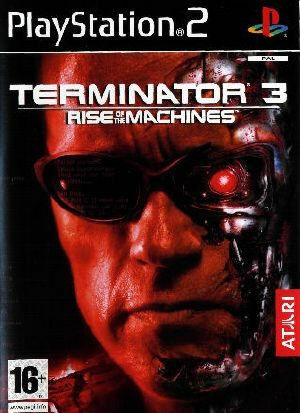 The Terminator shows up and quickly starts to mess his opponents up and then we meet the new and improved Terminator. With two enemies gunning after her, Sarah wouldn’t have stood a chance. Luckily, the first Terminator is on the side of the heroes for now. Like the last film, something is basically always happening and the film keeps up with a quick pace. With the budget improved, the liquid Terminator can really show off his strengths. Time to talk about one of the plot devices, which I thought was a little iffy. In the first film, Kyle mentions that Skynet sent a Cyborg into the past so the humans countered with him. In this film, we find out that Skynet actually sent two Cyborgs and we used the time loop to our advantage to reprogram the first one and send it after the second. Hmmmm……I don’t think that this adds up too well. I guess you could say that we were able to reverse engineer the Terminator from the arm and chip that survived the first film, but how did the main characters get it? Also, adding in the fact that two Cyborgs were sent just seems like a mild retcon. Reprograming the original Terminator is another iffy part. Regardless, plot holes rarely hurt films and they are just fun to look at. You can also make the case that they aren’t plot holes and that I just need to refill my Popcorn and continue with the review. Just keep that in mind since in Genysis…..it seems like more time twists are going to occur. The Terminator is an iconic character and I’ve always known him as a good guy so it’s nice to see him be a protagonist here. He’s still a Cyborg and doesn’t really feel emotions, but he starts to get the hang of them by the end. He seems like a nice guy even when he’s shooting everyone as he is still trying to help John. Deciding not to destroy humans anymore was also a pivotal part of his character development. This film was also where he got his famous sayings and iconic weapons like the Mini Gun. (I love that weapon in just about every shooter. It’s just so good!) He was definitely the best character in the film. There are a few dogs around like last time and they manage to stay uninjured. I wanted to quickly reassure all of you that the film didn’t make the big mistake of including animal violence. That would have been quite sad. Unfortunately, John is a very unlikable character and easily one of the worst in the film. Just about every scene where he has a “tough” moment is sad. He is in the rebelling phase and he actually steals money from people to use at the arcade. He’s certainly no hero and I can see why the Resistance is getting blasted by the Terminators. The film tries to push the argument that the humans will win and the Terminators are scared, but I can’t picture the humans winning. They simply don’t have what it takes at this point. As for the T-1000, he’s a good villain. He starts to show some mild emotion at the very end like when he shakes his finger at Sarah, but for the most part he is not very emotional. His liquid metal abilities make him quite the threat and it’s safe to say that The Terminator doesn’t stand much of a chance against him in a fist fight. The original Terminator does seem to physically be stronger than the T-1000 though and he was winning in pure fisticuffs until the T-1000 started to use his Liquid Abilities. With them, he is very hard to destroy and his regeneration is also impressive. He made for a very good villain and it’s going to be tough for the future films to top him. The soundtrack is excellent and I would expect nothing less from the Terminator series. As much as I enjoyed the music in the first film, this one managed to top it. A lot of the themes are very epic and make you feel the intensity of the scene. The iconic main theme is also very pronounced here and I can see why it is still remembered today. A good soundtrack really makes all the difference in a film and Terminator 2 certainly did a good job with it. One of the things that holds the film back a little is still the fact that it can be pretty violent at times. Thanks to me seeing the edited version, it wasn’t too bad. Usually, the screen would cut away when a character got stabbed so while you can tell how the character was destroyed, it’s not brought to the screen’s view too often although you can usually see the corpse in the background as a quiet shock moment. Naturally, the film could have certainly trimmed the violence down without affecting the story and the film could have easily been PG-13 level if they really tried although I’m not sure if the rating was around back then. There was one scene that nearly made me take away a star though. To show that the Asylum is not a safe place, we get a scene where the guy in charge of guarding the prisoners is actually a psycho himself. The scene literally has no point to it and it just serves to show us that there are always shady characters around. It was still a pretty distasteful scene though and nearly brought the film down. Had it gone any further than what was shown, I certainly would have had to cripple the score a little more. Luckily, it never went that far. I did actually feel bad for the two guys who tried to help John when they thought that the Terminator was about to attack him. They came to help only to get some broken bones out of the ordeal when John thought that it would be funny to inflict a little pain. Once again, John proved that he was definitely not a very heroic protagonist and someone that you couldn’t root for. I can only hope that he is better in Terminator 3. The best scene in the film is probably when the Terminator meets up with the T-1000 in the Asylum as the heroes finally manage to find Sarah. That’s where the film really got interesting and the death race got going. That’s the kind of moment that I hope to see in Batman vs Superman or in the Infinity War. Two big characters finally meeting up and the other characters as witnesses. That scene will definitely be remembered as a classic. 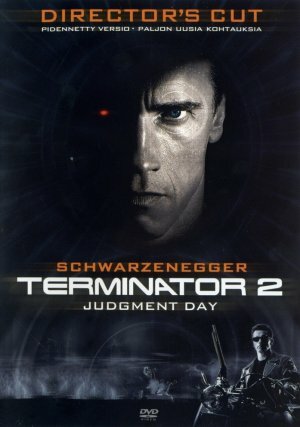 Overall, Terminator 2 was a worthy successor to the first film. It’s really going to be tough to top this installment as we had a great villain and good heroes in Sarah and the Terminator. John was a really bad character, but at least he wasn’t too integral to the plot so it was easy to ignore him. The sci-fi elements are always fun to watch and the opening scene with the future really showed off just what the series could do with a big budget. I definitely want to see more of the future soon since that plot looks super interesting. In Florida, they had a ride where a great part of the movie inside took place in the future. Something like that would make for a great film. There may be a few plot points that I found iffy, but you can safely jot it down to the time travel aspect. I definitely recommend this if you saw the first Terminator film and if you’re looking for an intense time travel film, this is what you’re looking for. Wybie Lovat is a guy who likes to ride on his motorcycle and scare people, but that’s essentially what the Terminator does from time to time. This means that Wybie is no longer a unique character and he will have to fight to live through this round. One blast from the Terminator should put an end to this so Wybie will have to sink through the blog ranks a little more. Terminator wins. 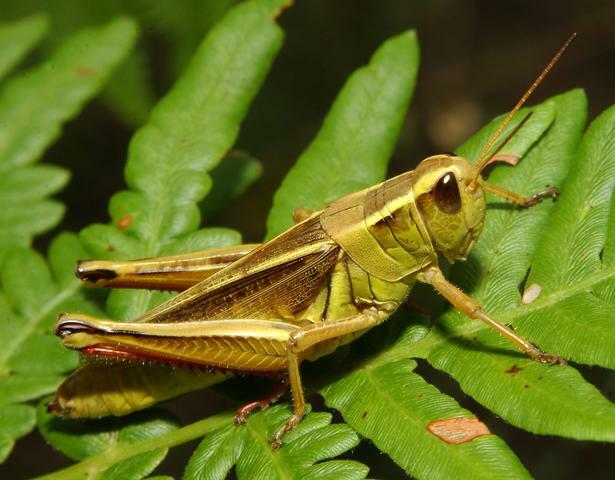 The Grasshopper is back and he’s up against another foe who has made a return onto the blog. These guys have both dealt with the sadness of defeat while getting the chance to rise above the ranks with a decisive victory here. The Terminator has the advantage in firepower and it would appear that it is one that really shapes the outcome of this fight. Grasshoppers can’t really do much against this level of ability. Terminator wins. Terminator may have lost his last fight, but his shotgun always gives him a chance to get back into the ring! 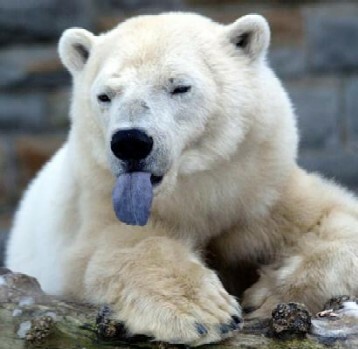 Polar Bears are pretty fierce creatures and they slash all opponents who make the mistake of getting in their way. It’s very tempting to go with them in this fight, but I’m still going to have to lean towards the Terminator. Terminator wins. 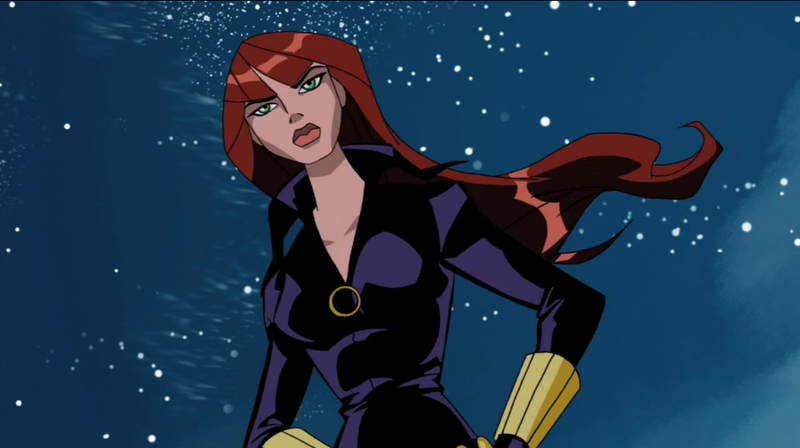 The Black Widow is back and now she’s fighting a pretty iconic figure! The Terminator is definitely stronger than the average human and a single hit from his shotgun would mean instant death for the Black Widow. Luckily, she is very quick and a good hit from her Widow’s Sting would also shut him down. The Terminator’s lack of speed is what gets him here and he’ll have to take the loss. Black Widow wins.